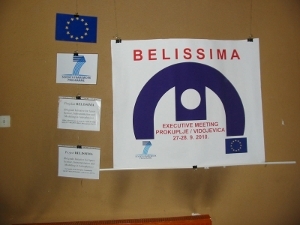 "NETWORK OF TELESCOPES IN THE WESTERN BALKANS REGION"
The Executive Meeting of the BELISSIMA project "Network of Telescopes in the Western Balkans Region'' gathered 30 participants, of which 13 were foreign experts from several European countries. The Meeting was organized in the beautiful building of "National Museum Toplica" of Prokuplje which provided suitable environment for presentations and discussions. The Meeting was greeted by the representative of municipality of the town of Prokuplje. The participants from Serbia were: Dr. Srdjan Samurovic (AOB), Dr. Zoran Knezevic (AOB), Dr. Istvan Vince (AOB), Dr. Luka C. Popovic (AOB), Dr. Milan Cirkovic (AOB), Dr. Milan Bogosavljevic (AOB), Dr. Oliver Vince (AOB), Ms. Ana Lalovic (AOB), Mr. Igor Smolic (AOB), Mr. Branimir Ackovic (AOB), Ms. Monika Jurkovic (c/o AOB), Dr. Dragan Lukic (Faculty of Agronomy, Cacak) Dr. Goran St. Djordjevic (Faculty of Electronics, Nis), Dr. Zarko Mijajlovic (Faculty of Mathematics, Belgrade), Mr. Aleksandar Simonovic (Prokuplje), Mr. Milan Darijevic (ISP, Petnica) and Dr. Goran Sv. Djordjevic (Department of Physics, Nis). They all took part in the discussions related to the construction of the new "Milankovic'' telescope and future observational programs. The program of the Executive Meeting is available here. The presentations are available here. 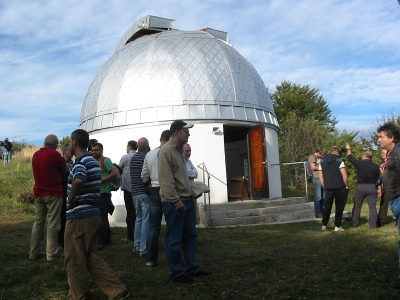 The afternoon of September 28th was dedicated to the excursion to the Vidojevica Astronomical Station (VAS) on Mount Vidojevica. All participants took part in the excursion and visited the location where the "Milankovic'' telescope will be placed. 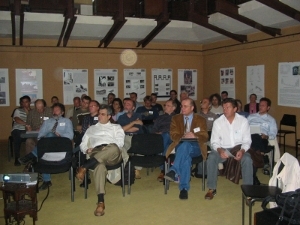 The participants also visited the main building of the VAS and the pavilion of the 60cm telescope. The local television station of Prokuplje which is a part of Serbian Broadcasting Corporation followed the event from the beginning (the morning of September 27,) to the end, including the excursion to the VAS (the afternoon of September 28). 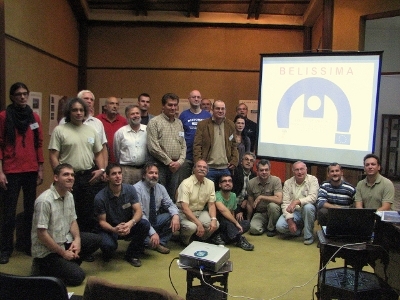 The filmed material will be incorporated into the multimedia DVD planned for the later stages of the BELISSIMA project. Relevant report has been emitted on the Channel 2 (program "Ovo je Srbija" -- "This is Serbia") of the National television of Serbia on October 29, 2010 in the afternoon hours. Serbian magazine "Vreme" ("Time") published an article (September 30th) by Mr. Branimir Ackovic: "Teleskopi na Vidojevici: Milankovic nad Srbijom" ("Telescopes on Mount Vidojevica: Milankovic Over Serbia").